As an employee or self-employed individual, can you deduct the cost of getting an MBA? What about expenses incurred to improve your general knowledge? Two recent U.S. Tax Court decisions provide answers to these questions. But, first, here’s some background on when education costs can be deducted as business expenses. The general rule for work-related education expenses is that you can deduct them as business expenses for federal income tax purposes. This is true if you’re “in the business” of being an employee or if you’re self-employed. For employees. If the education expense relates to your current job, the write-off is categorized as a miscellaneous itemized deduction for unreimbursed employee business expenses. However, you can write off miscellaneous itemized deductions only to the extent that they exceed 2% of your adjusted gross income (AGI). So, if you have some of these expenses, you can combine them with your education expenses and improve the odds of exceeding the 2%-of-AGI threshold. For the self-employed. When your education expenses relate to a self-employed business activity, you don’t have to worry about the 2%-of-AGI threshold. Instead, you can claim 100% of business-related education costs. 1. The education is expressly required by your employer or is required by applicable law or regulations in order for you to retain your current employment relationship, status or compensation level. 2. The education maintains or improves skills required in your current job, business or profession. 1. You can’t deduct as a business expense the cost of schooling that’s required to meet the minimum educational requirements for your job, business or profession. A few years ago, the Tax Court clarified that this disqualification rule is mainly intended to apply to education that is required in order to be hired for your current job or to education that must be obtained within a certain period of time after being hired in order to retain your current job. In other words, such education is basically a prerequisite for your current job. (Daniel Allemeier Jr., TC Memo 2005-207) Although the first qualification test (above) seems quite similar, it’s intended to apply to education that becomes required after you’re already permanently working in your current job. 2. You can’t deduct as a business expense education costs incurred to train you for a new business or profession. The Tax Court has opined that education training you for a professional certification or license — such as law school or medical school — will almost always be deemed to train you for a new profession. Therefore, it’s generally nondeductible, even if you have no intention of actually practicing that new profession. Perhaps the most common application of this rule is when you go to law school but don’t intend to actually work as a lawyer. In the case of an employee, the IRS admits that a change of duties doesn’t constitute a new business or profession if the new duties involve the same general type of work as the employee’s present duties. For example, getting promoted to a new job in the same general field of finance or marketing doesn’t constitute entering a new business or profession, nor does an accountant getting promoted to a marketing job with an accounting firm. So, if you get a promotion in the same general field or line of business after obtaining an MBA degree, you haven’t run afoul of the second disqualification rule. In the facts underlying a recent Tax Court decision, the taxpayer was a senior assistant controller for a major hotel. To improve his leadership skills in corporate finance and management, he enrolled in the Executive Master of Business Administration (EMBA) program at Brigham Young University. 1. The taxpayer didn’t carry on a business while he was unemployed. 2. The EMBA degree qualified him for a new business or profession. In another recent Tax Court decision, a married couple (a college professor and librarian) weren’t allowed to deduct as unreimbursed employee business expenses the costs of their home Internet service, computer, cell phone and satellite television system, as well as books, DVDs and CDs that they claimed were kept for a “professional library.” The husband argued that, as a college professor, he was professionally charged with “self-educating.” So, he and his librarian wife had to constantly expand their “general knowledge” to be effective at their jobs. The IRS wants you to believe that MBA costs are almost never deductible as business expenses. However, because MBA programs, by their nature, provide broad and general training, the costs will often be deductible on the grounds that the courses maintain or improve skills needed in your current business, job or profession. 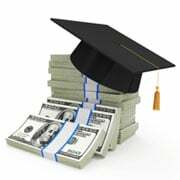 But, your MBA expense won’t be deductible if you haven’t yet become established in a business or profession — or if your employer requires an MBA degree as a prerequisite for obtaining or retaining your present job. Finally, your claims must be reasonable. You can’t claim deductions based simply on the pursuit of lifetime learning. If you’re audited, these expenses will almost certainly be disallowed and, instead, be considered personal living expenses. If you have questions about the deductibility of education costs, consult your tax advisor.